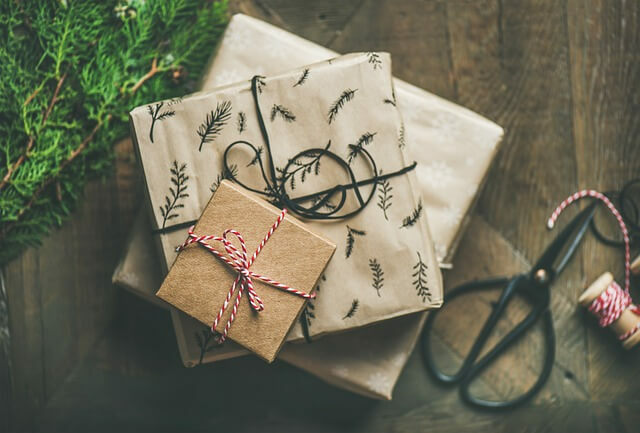 If you love going the e-commerce route for your gift shopping, take your presents up a notch and start customizing them. Customization is a major trend among artisans and smaller shops that are willing to take on personalized orders. Big brands are growing much more willing to offer personalization options for their own products. Search for some favorite brands, and you may be surprised by variety of available options. Goldfish, for example, allows you to purchase customized boxes of the popular snack that includes a picture of the gift recipient and customizable Goldfish colors. The range of engravable products online is, frankly, enormous. It would be almost impossible to list all the different items that can be engraved with initials, monograms, personal messages, and similar options. Jewelry is one of the more popular choices, but you can also personalize everything from lighters to cookware with a little bit of engraving work. This makes it easy to pick the products that are most likely to appeal to friends or family. Personalized phone cases? Flasks? Luggage? Doggy beds? No problem. A quick search will give you all the information you need. If you want to move into the decor category and give a gift that can be displayed in a home, consider ordering some personalized artwork. This is very different from making a collage of personal photographs. Online services allow you to turn Instagram snapshots into professional-looking photos, or order art letter pictures with your choice of word or message. These options give you a classier option for impressing your friends. Personalized clothes require a little more work than engraving. Specialized stitching is typically required, but if you’re willing to spend a bit more, you can order personalized boots, coats, hats, and many other items your family members can don with pride. If you want to save money, look into easy personalized shirt prints instead. Companies like Lovebook offer the opportunity to construct a personal book that celebrates your relationship with a loved one. This option is probably only suitable for someone you are especially close to, but it’s also one of the most personal items on the list. It lets you put your own story in a readable form, which is pretty cool.